So very hot and humid this morning. I probably should have stayed indoors, cranked the AC, and set the treadmill and floor fans to max. Instead, I decided to brave the mid-August swelter. I can usually endure any type of weather for three miles (or in today's case, something less to that) and would have done 3+ today, but I had very little time to run and shower before my first meeting of the day. Despite conditions, I was eager to get outside,. When I picked up my Garmin, the bottom half of the strap separated from the top, despite the awesome repair work I've been doing with electrical tape. My sister-in-law told me about some material that will fix rubbery plastic like this wristband, but I fear it's too late to save the FR210. I ended up taping the watch all the way around and that secured it well enough to get through 2.63 miles. 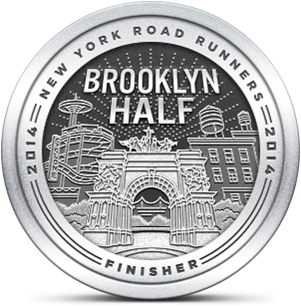 I really don't want to do that every time I want to take it on a run. The watch itself works fine so I guess, for now, I'll stick it in my SPIbelt. 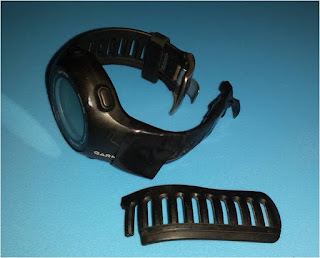 There is a hack to fix a Garmin that suffered wristband failure, but it requires that the first two loops that connect to the watch case be intact. One side is beginning to rip, so maybe not. So what to do? I can continue carrying it with me or I could buy another watch. I've had this Garmin for about five years and it has served me well. I don't like replacing technology that still provides utility, but in this case it wasn't the technology that failed me.